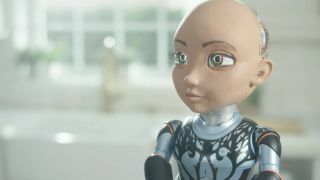 Hanson Robotics Limited (www.hansonrobotics.com) announces its robot Little Sophia. Little Sophia is a tutorial companion that teaches STEM, coding, and Artificial intelligence (AI), with a playful personality and characteristics of Sophia the Robot. With the power of character and storytelling, Little Sophia helps kids learn new things in robotics, science, technology engineering, math, coding, and AI. Kids can learn to program Sophia with Blockly and Python; and with her lessons on computer vision, deep learning, and robotics. Little Sophia interfaces with Raspberry Pi, allowing kids to learn electronics and robotics, and help her become as smart and capable as their imagination will allow. Standing 14’’ tall, Little Sophia makes dozens of facial expressions (happy, sad, surprise, grouchy, delighted, etc), and walks, talks, sings, tells stories and jokes, and recognizes faces. Hanson Robotics is launching a worldwide Kickstarter campaign to help bring Little Sophia to the world. Research has shown that over 75% of girls who participate in hands-on STEM activities outside the classroom feel a sense of empowerment, if it is encouraged and nurtured early in a child’s educational life. For more information on Little Sophia and the Kickstarter campaign, visit www.littlesophia.ai.